As a result of the highest fuel costs in the last decade, the country’s top airlines are preparing to raise prices on domestic flights, marking the fourth increase in ticket prices this year. Major U.S. airlines are planning a $20 surcharge to each roundtrip ticket. The extra charge will be classified as a “fuel surcharge,” meaning consumers won’t see it on the initial posted ticket price whether they check online, over the phone, or through a travel agent. According to a report by the Bureau of Transportation Statistics, airline carriers used 1,434 billion gallons of gas in April this year. Though this was a 2.1 percent drop from March, gas prices climbed 4.5 percent to $2.08. Airlines spent nearly $3 billion on fuel this year, a number that rose 2.5 percent. Overall earnings for the country’s publicly traded airlines continue to fall, as they’ve dropped 24 percent since the start of 2018. 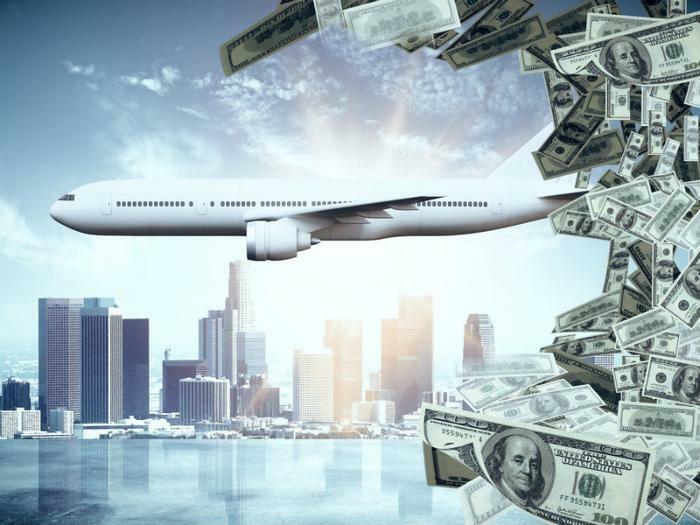 A spokesperson for the lobbying group Airlines for America noted that revenue for airlines has risen seven percent this year, while fuel prices have also gone up by nearly 10 percent. Delta shared publicly this week that second-quarter earnings will be no higher than $1.75 per share, lower than the originally projected $2 per share. The move came just weeks after American Airlines, the country’s number one airline, lowered its projected forecast for the remainder of the second quarter. This quarter alone, fuel prices rose 12 percent, and Delta noted it could take up to six months for fares to catch up. Adam Hackel, an analyst at Imperial Capital, believes other airlines are likely to follow in Delta’s footsteps. “You’ll certainly see over the next week or two some more revisions as they get fuel fully priced in,” he noted. Despite concerns, some airlines seem optimistic. While United Airlines boosted the lower end of its full-year earning target by $7, Allegiant Air said more efficient jets are helping them combat rising fuel prices. CEO Maurice Gallagher told shareholders that the airline is getting 44 percent more flight capacity from each gallon of gas. “Given the benefit of better fuel metrics and operational reliability, we will be able (and have been so far) to increase our daily utilization, making our fleet more productive,” Gallagher said. Southwest Airlines, which anticipated a drop in ticket sales following a fatal accident earlier this year, also reported revenue passenger miles (the industry’s gauge of demand) increased 4.2 percent this May to 11.7 billion. However, the company is still expecting a nearly three percent drop in operating revenue after that fatal accident. In addition to higher fares, consumers should also expect fewer seats available per flight. While Delta is still in the early stages of deciding how many seats -- if any -- they’ll cut moving forward, the decision wouldn’t go into effect until after Labor Day. By reducing the number of seats on each flight, airlines are able to raise fares, should the demand remain. Airlines won’t cut down on seats during the busy summer months, so consumers can expect things to be different by summer’s end.